The five-hour battle happened on May 28, 1898 between the Philippine revolutionary forces and Spaniards. The victory of the revolutionary forces was the beginning of many victories against the Spaniards and the birth of the first Philippine Republic. Pursuant to Proclamation No. 374 series of 1965, the 28th of May of each year was declared as the National Flag Day in commemoration of the first unfurling of the Philippine Flag and baptism of fire and victory of the Philippine revolutionary forces in the Battle of Alapan. The site of the battle was transferred from Alapan Elementary School to Imus Heritage Park or Pambansang Dambana ng Watawat ng Lahi at Miguel Santo, Barangay Alapan II-Band approximately 25 minutes away from the city proper. The Imus Heritage Park was declared by the National Historical Commission as a national historical landmark through Resolution Number 5 Series of 1993 signed on May 26, 1993. The Philippine Flag is proudly hoisted 24/7 on a 120-meter flagpole originally from Luneta Park and is illuminated at night. 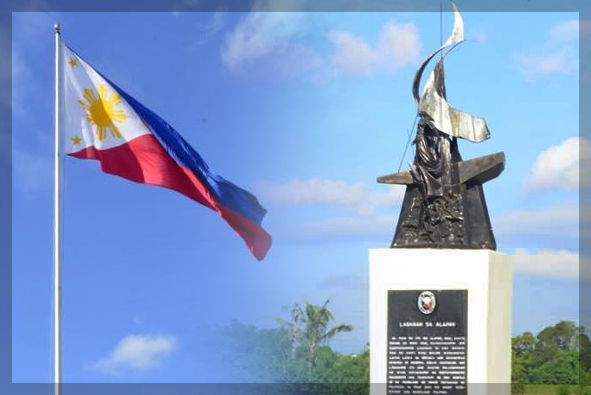 The City Government of Imus commemorates the triumph of the Filipinos in the Battle of Alapan and the National Flag Day on its annual Wagayway Festival held every month of May.